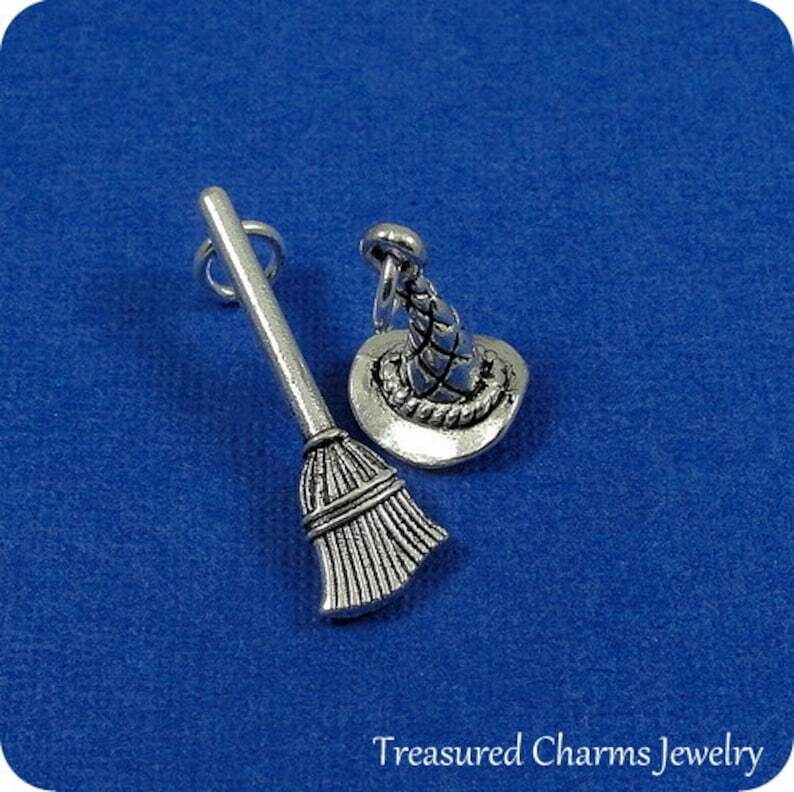 These Witch's Hat and Broom Charms come with a silver jump-ring as pictured. Please note that photo is not to scale and may appear larger to show detail. Refer to exact measurements below.